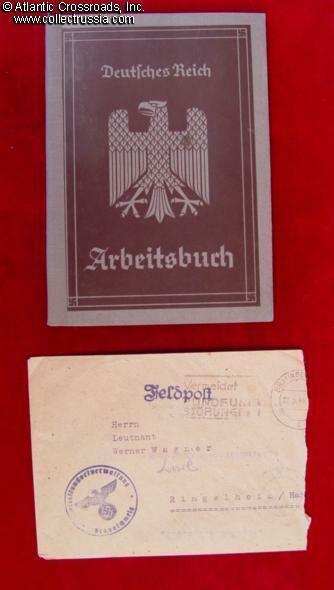 German Reich "Arbeitsbuch" labor ID booklet & postal envelope to same person, now an LT in the Wehrmacht. 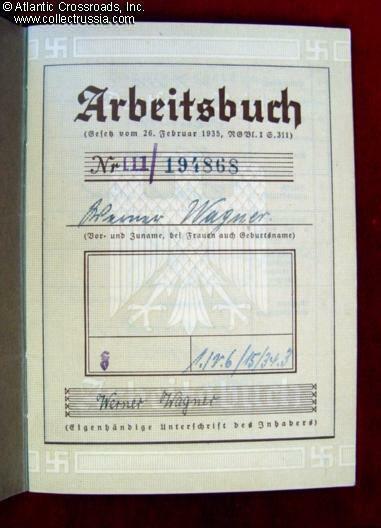 German Reich "Arbeitsbuch" labor ID booklet & postal envelope to same person, now an LT in the Wehrmacht. Portrait photo of man in LT uniform included in envelope, probably same man. In excellent condition. 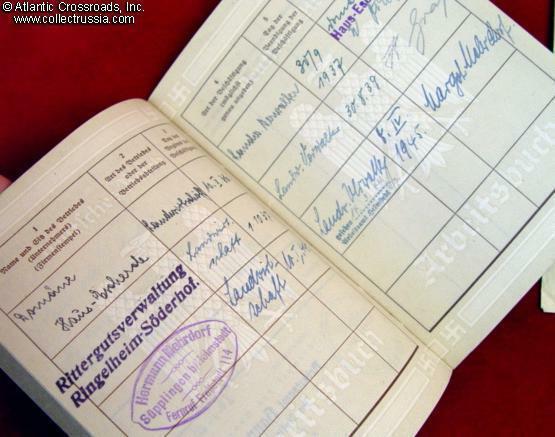 Date of issue 1936, 1944 last entry.